President Muhammadu Buhari on Tuesday spoke with Mohammed Liman, father of Hauwa Liman who was killed by Boko Haram terrorists. 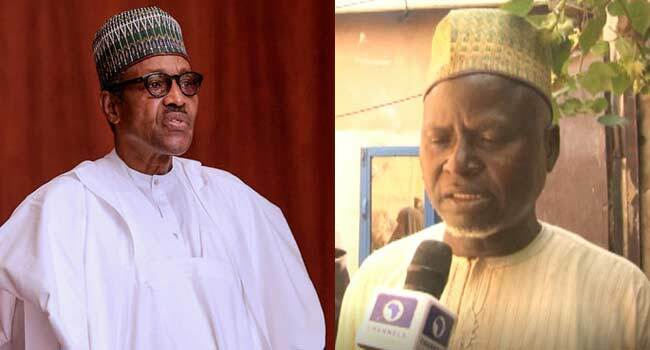 The President commiserated with the family in a telephone call, a statement by his Senior Special Assistant on Media and Publicity, Mr Garba Shehu, revealed. He assured Hauwa’s father that the Nigerian government did everything possible to save his daughter’s life, lamenting that all the efforts turned out unsuccessful. President Buhari regretted that her commitment to helping victims of the Boko Haram insurgency in the northeastern part of the country ended in such a brutal way. He also spoke with the President of the International Committee of the Red Cross (ICRC), Mr Peter Maurer, and extended condolences on the loss of the aid worker. He appealed to the organisation to continue its services in the country, and not give up, despite the unfortunate and painful loss of their staff. According to the President, Nigeria needs the ICRC and the government will continue to do all it can to protect the staff of the organisation. He added that the government would continue to ensure the safety of other aid workers that are providing much-needed humanitarian services in the North East region, which had been affected by almost a decade-long conflict. Hauwa was abducted by a faction of the Boko Haram terrorist group, Islamic State West Africa Province (ISWAP), along with some of her colleagues in March this year. The news of her death broke on Monday, a day after the deadline the terrorists gave to the Federal Government to meet their demands expired. While the Federal Government and humanitarian organisations such as the Red Cross and Amnesty International condemned the action of the terrorists, Hauwa’s family believes she might still be alive. “We feel so bad and we are in doubt if she is dead or alive because we didn’t expect her to be killed so suddenly,” her father told Channels Television at the family home in Maiduguri, Borno State. “In fact, we are in doubt because, unless we see her corpse or any evidence that shows she is dead, we still believe that she is living,” he added.